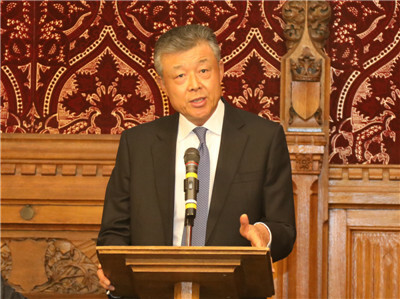 On the evening of September 10th, Ambassador Liu Xiaoming attended the Launch of the All-Party Parliamentary Group for the Belt and Road Initiative and China-Pakistan Economic Corridor (APPG) and delivered a keynote speech entitled Share the Opportunities of the Belt and Road Initiative and Create a Splendid Future for the China-UK “Golden Era”. 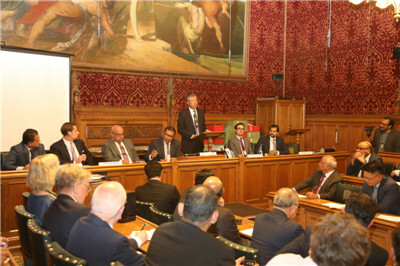 Faisal Rashid MP, Chairman of the APPG, H. E. Sahebzada Ahmed Khan, Pakistan's High Commissioner to the UK, Lord Sassoon FCA, Chairman of China-Britain Business Council, MPs and Lords of the British Parliament, and over 120 representatives from business, academia, and media sectors were present at the event. Why has the BRI become so popular? Ambassador Liu gave three reasons: the BRI is a “big family” of equal-footed members and a portal that is open all rather than a closed and exclusive “small coterie”; it is not a “talking shop”, but a platform for action; it is a “chorus” rather than a “one-man show”. He noted that China and the UK are “natural partners” in advancing the BRI, and their cooperation on the BRI means greater opportunities for China-UK relations. 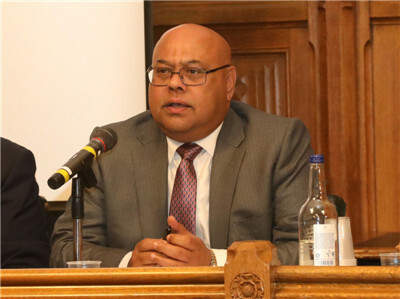 The Ambassador hoped that the APPG will serve as a bridge of communication to bring in more British public support for and participation in the BRI, show its resolve to encourage more concrete actions on China-UK Belt and Road cooperation, and be innovative to contribute more ideas to China-UK cooperation on the BRI so as to deliver more fruitful results for China-UK cooperation. After the speech, Ambassador Liu answered questions about China-Pakistan Economic Corridor financing, security guarantees, Kashmir issue, China-Pakistan relations, China-EU relations, China-Africa relations, the relationship between the BRI and ordinary people, and the China International Import Expo. 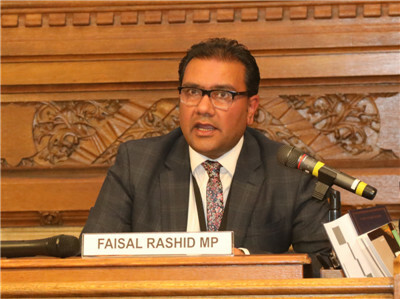 Chairman Rashid MP spoke highly of the global influence of the BRI, saying that he was honored to initiate and launch the APPG, the first parliamentary group on the BRI, and to be its Chairman. 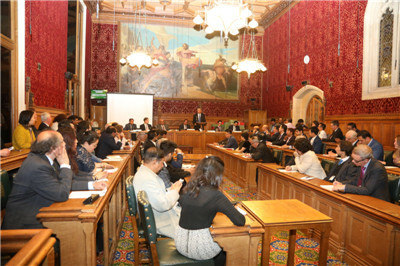 The APPG is committed to enhancing the understanding of the BRI in the UK and building a new BRI platform for China-UK cooperation. High Commissioner Khan sang high praise for the contribution that the BRI has made to the development of the countries along the Belt and Road, saying that the China-Pakistan Economic Corridor is a successful example of the BRI cooperation. He is willing to work with the APPG to promote cooperation among China, Britain and Pakistan to achieve mutual benefit and win-win results. The guests said that the BRI will bring opportunities to the UK in the context of Brexit. The UK should seize the opportunities and give full play to its strengths to work for more concrete results in China-UK cooperation on the BRI. 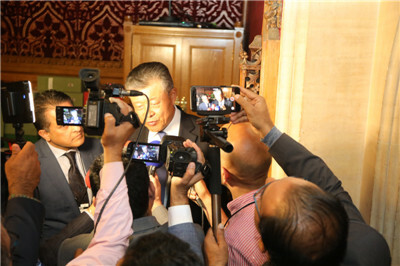 Ambassador Liu gives an interview to the British and Pakistani media after the speech.